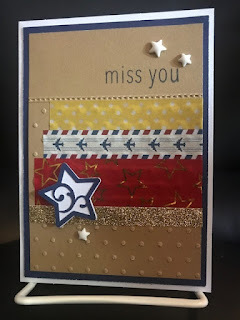 yup, I'm still enjoying my stamping weekend. I hope in December I get to make lots more Christmas Cards. I have so many stamps and fun supplies I like all the choices. I'm still using my Holiday Paper stash, this time Frosted from 2013. The inspiration for this card is the Freshly Made Sketches #164. 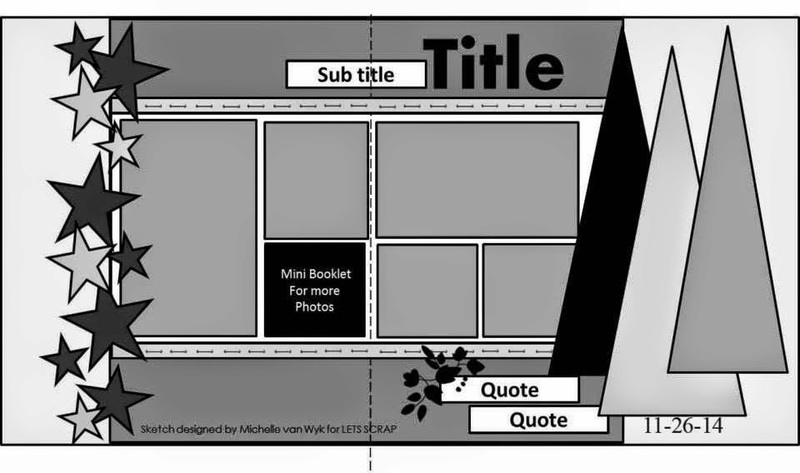 The diecut is from the new CTMH Artfully Sent Cricut Cartridge. I love the sparkle trim, esp all the fun colors . I used black on this one. Here's one from a couple years ago Pear & Partridge Paper page. I tend to be a "traditional" Christmas colors girl so this one has been a favorite. I used the MOJO Monday #373 Tall and Skinny Sketch. Hope you're enjoying your holiday weekend! I love the holidays! Just returned from a great time in Kentucky with my DS and his GF. We had such a nice time celebrating Thanksgiving together. Lots of good food, fun and football. We're from Michigan so we've grown up watching the Lions on Thanksgiving Thursday. Now home and a weekend of scrapping and stamping! 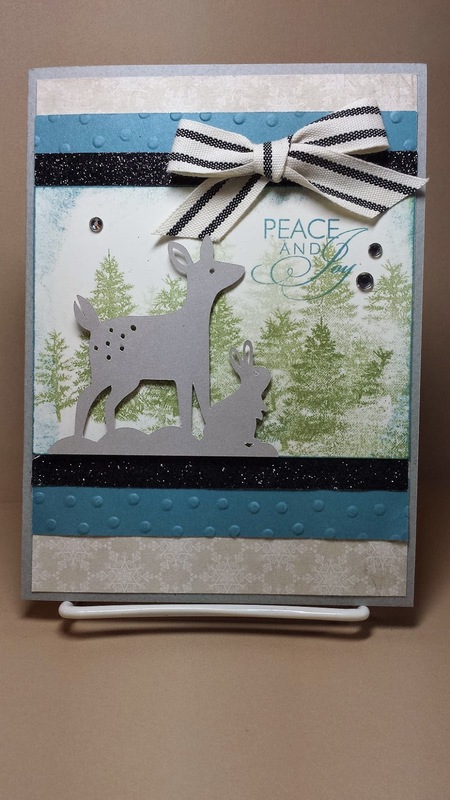 This Inspiration is from this week's Let's Scrap Sketch 112614. 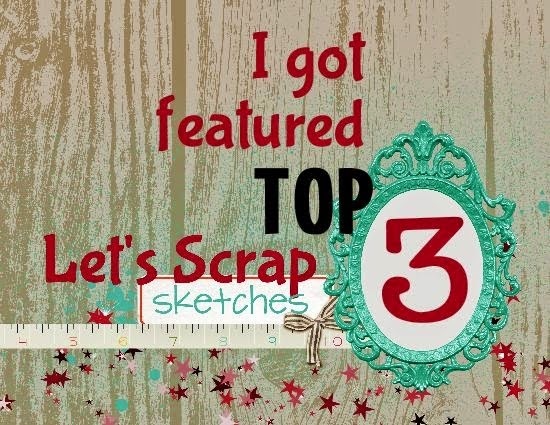 If you like to scrap, they have great weekly sketches for you to check out. 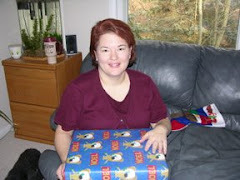 This was last year at Christmas, we went downtown Cleveland to Tower City for dinner and a hockey game. It was very fun. Love the CTMH 2013 Holiday paper, Sparkle and Shine. What a GREAT time of year to REJOICE for all the blessings we have. I am especially grateful for the opportunity to stamp and scrap. I really appreciate the time I have to enjoy this hobby. It's such a great chance to be creative and relax. I found this great sketch at Freshly Made Sketches #163. I knew just the stamps I wanted to play with. 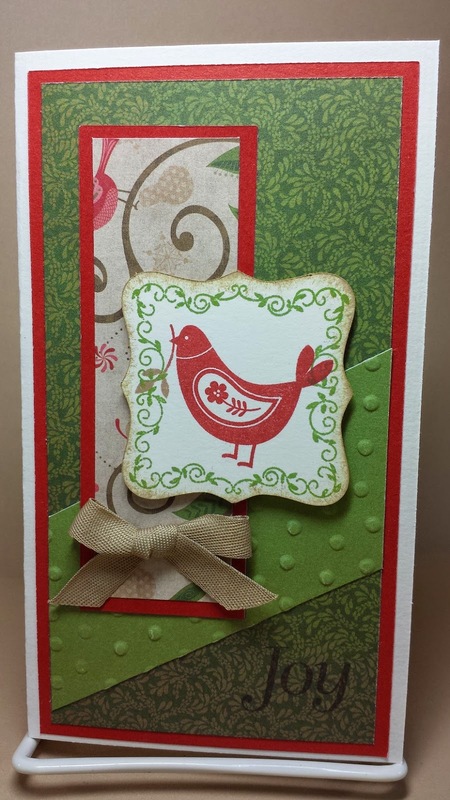 I like these cards so much I may use this design for my Mom's Christmas cards next year. She always love when I make Christmas cards for her to send to friends and family but I swear she sends more every year, LOL. 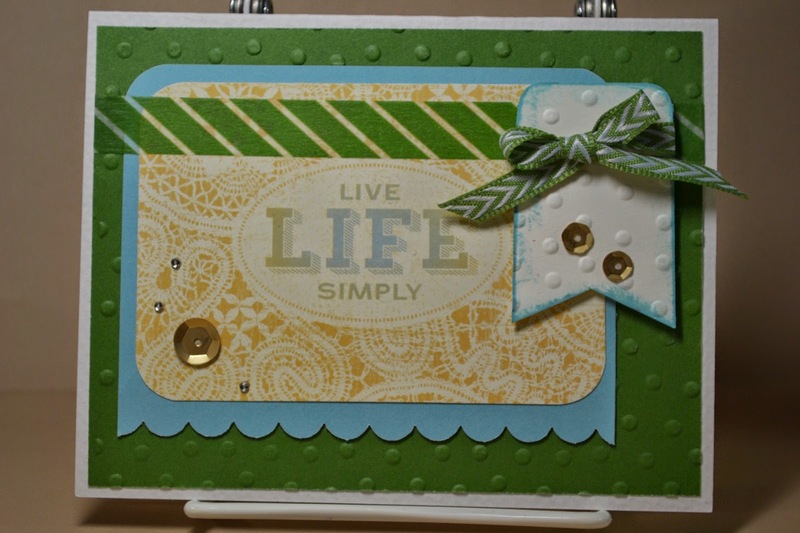 I love Saturday's especially when I can find some Crafty MOJO and enjoy some stamping and scrapping! So even though we were busy early today with some house remodel projects, laundry and some school work, I found time tonight for some play time. 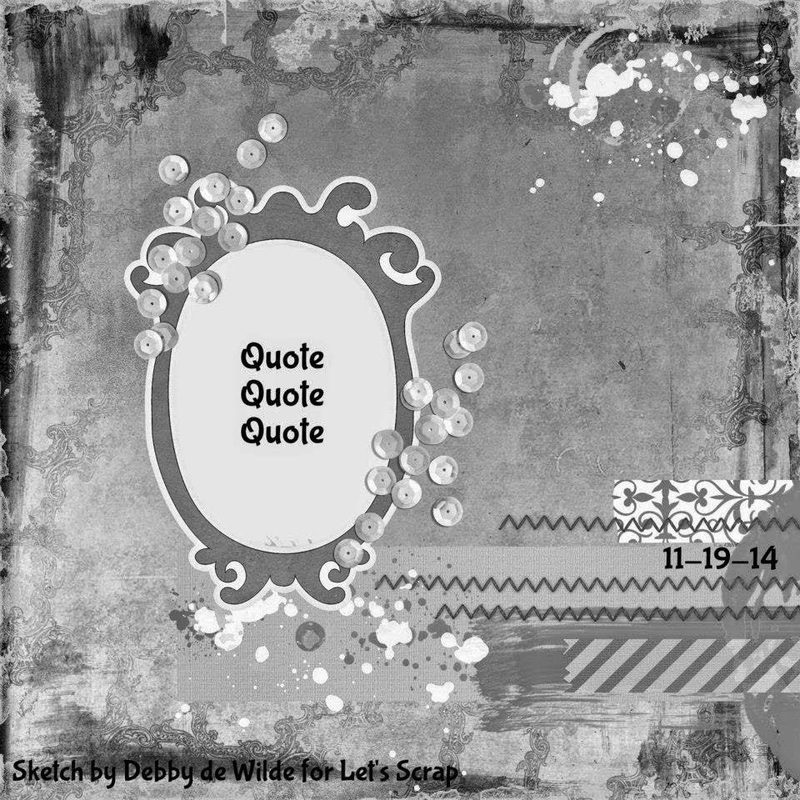 The sketch is from this week's Let's Scrap 111914 Sketch. Unfortunately, my camera wasn't cooperating tonight and I'm leaving for out of town so I wanted to get this uploaded before I left. 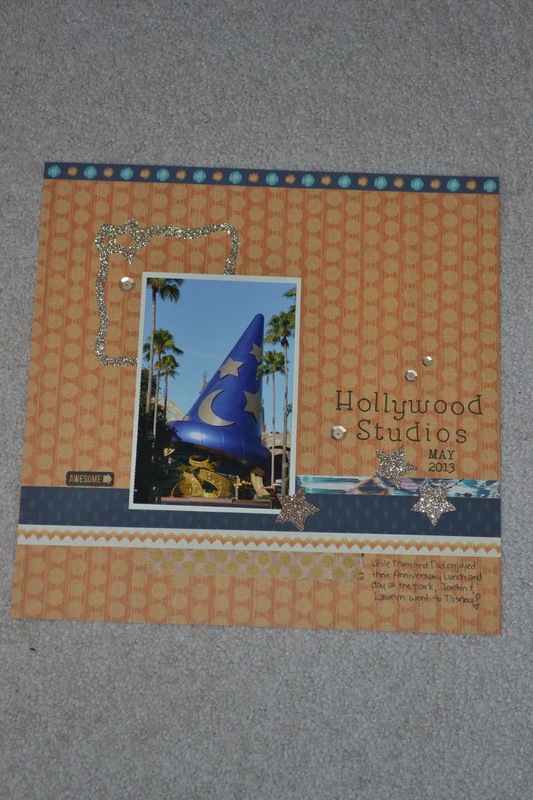 It' worked perfectly for the page I wanted for Hollywood Studios. My kids went for the day but of course, pictures were limited, LOL! What a fun opportunity! My family "humored" me as it was chilly that day but a fun walk at the park for some family photos w/ the great Fall color, love it! 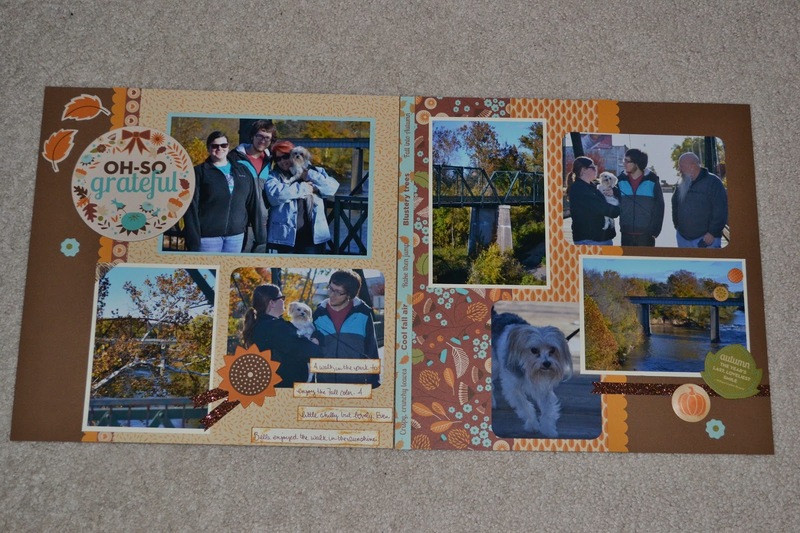 It went get with the PathFinding paper for this year's Autumn pictures. I'm also "Oh So Grateful" it's FRIDAY! 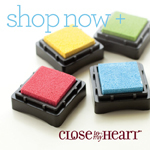 It's time for another fun challenge at Color My Heart Color Dare #120. This week (and next so you have until Dec 4) we're celebrating with PathFinding papers. The colors are AWESOME so get your pack out and get some fun stuff put together! Wishing you an enjoyable Thursday on the way to the weekend! since it's that "time of year" but whew, it seems early to see this much white stuff. I can't imagine being in Buffalo and getting 5-6 FEET of snow ... wow. I actually had time to play tonight and chose to do the MOJO Monday Sketch #372. 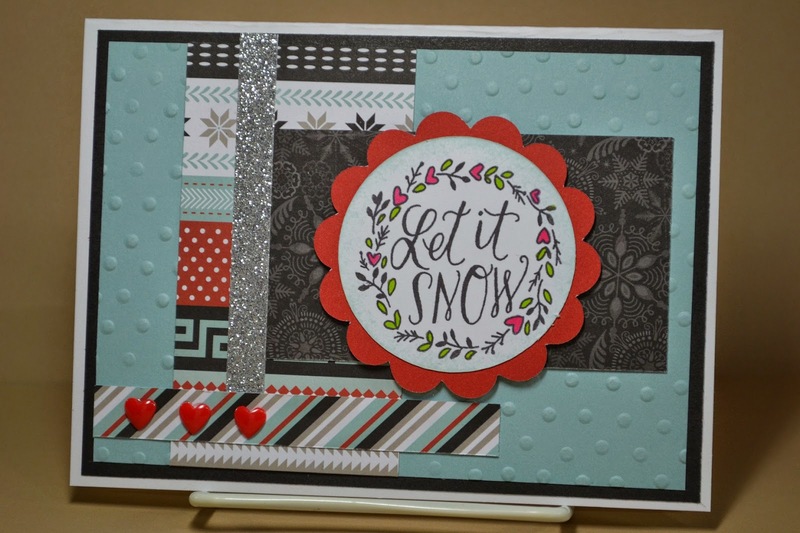 I love the colors in the new CTMH Snowhaven paper, very fun! Enjoy! I'm SO happy it's Friday! TGIF! 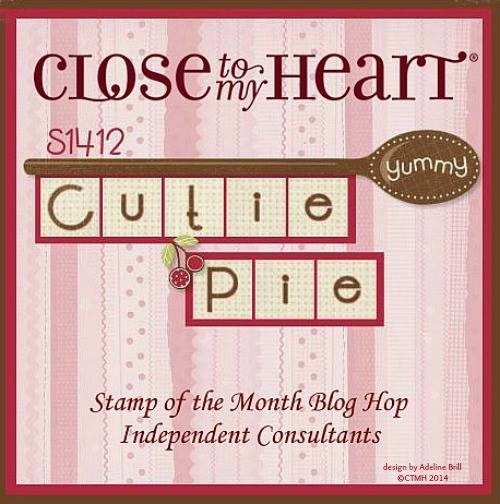 Not only is it our Color My Heart Color Dare Challenge #118 but it's also the start of our SCS VSBN (Virtual Scrapbooking Nights) Weekend Crop! 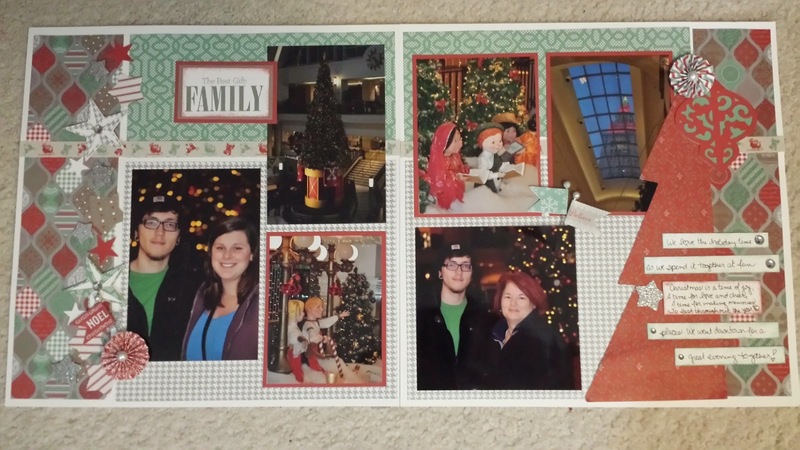 Our theme this month is "Family and Friends" so if you are looking for some FUN Inspiration to get some scrap pages done, come on over and play along! Our Color My Heart Challenge this week is to use Smoothie, Honey and Olive. This one was a little more challenging for a Fall card but I love the Whimsy Paper Fundamentals for just a little added depth and color. 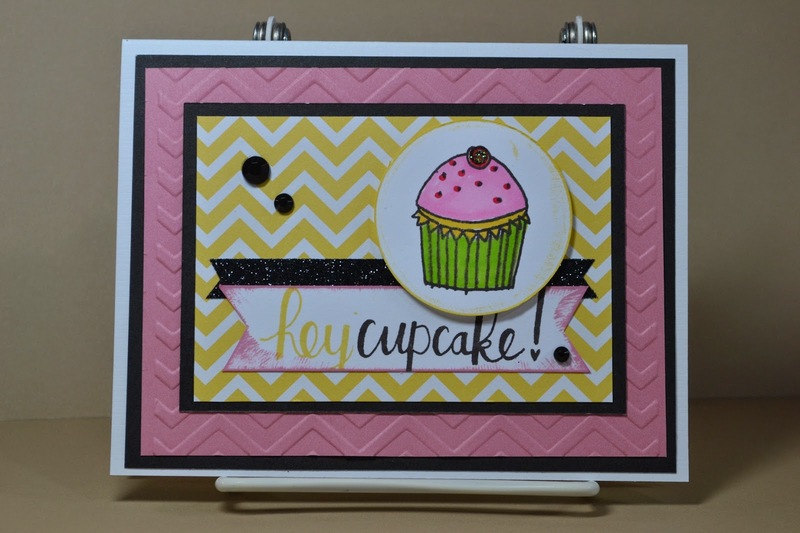 This fun sketch is from Retro Sketches Challenge #135 for World CardMaking Day - use your favorite. I chose #10 for this one. Of course, I had to add leaves for my Fall sentiment but it looks like this weekend I should have used the Holiday Sentiment from this set and added snowflakes, LOL! Enjoy and if you get a chance, come and play along! 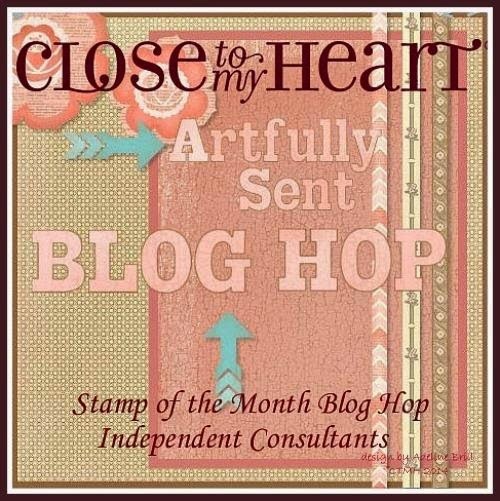 Welcome to the "Artfully Sent" Blog Hop for November! Woohoo! If you're hopping along with us, you just got here from Gina's Blog. 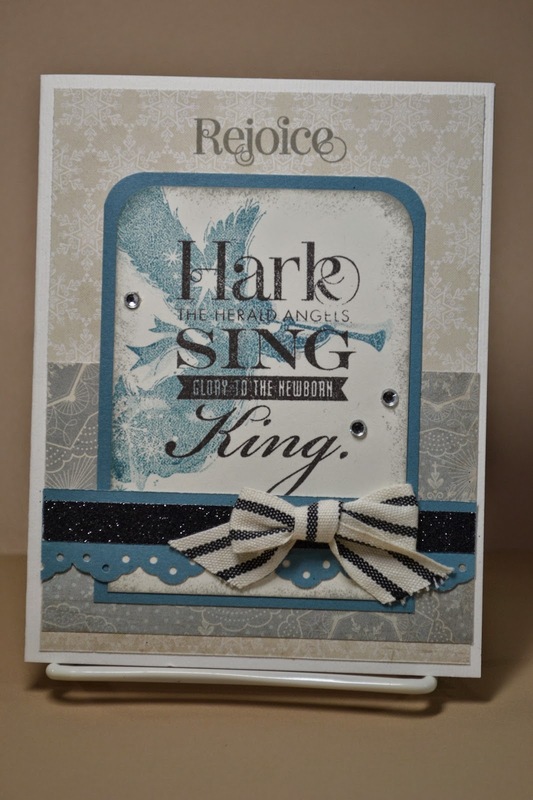 What a great hop to see all of the wonderful creations you can do with the CTMH Artfully Sent Cricut Cartridge. 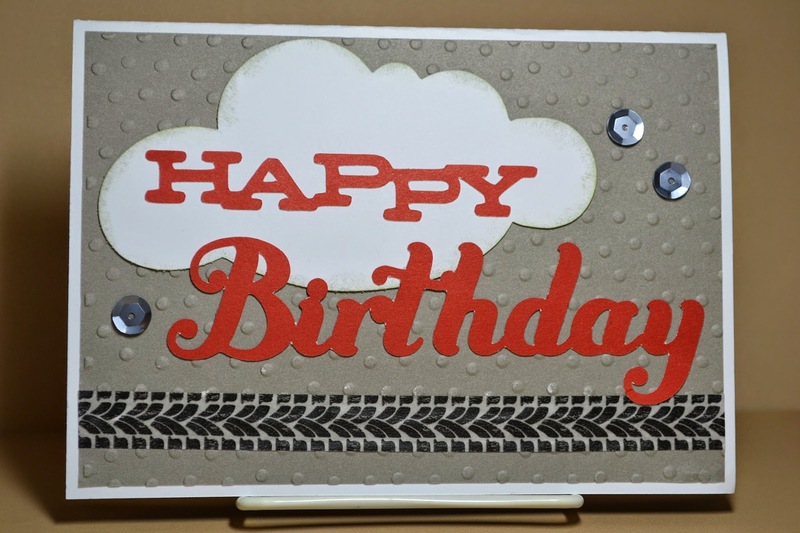 For my first card with this cartridge, I made my Hubby a Birthday Card. When I saw the images in the book, I knew it was just perfect for him. 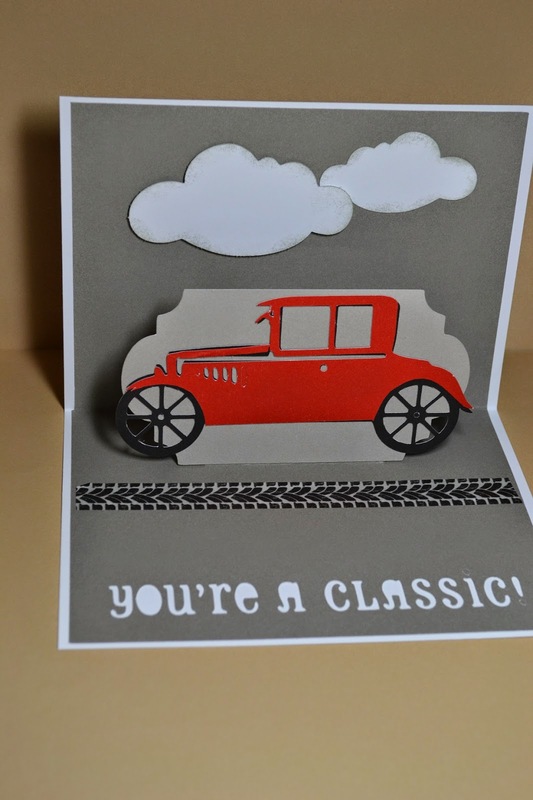 You see, he's a "car guy" and he has a Ford Street Rod so when I saw this Model T, I knew it would make the perfect B-Day card for him. The cuts for the Artfully Sent cartridge are set up for 5x7 Cards. I don't generally make that size but it came out great and I look forward to making more. My Hubby loved it and was quite surprised that it "popped up". The card is sitting on his dresser still so I know he liked it. Aww.. The Clouds were cut from the Art Philosophy Cartridge. 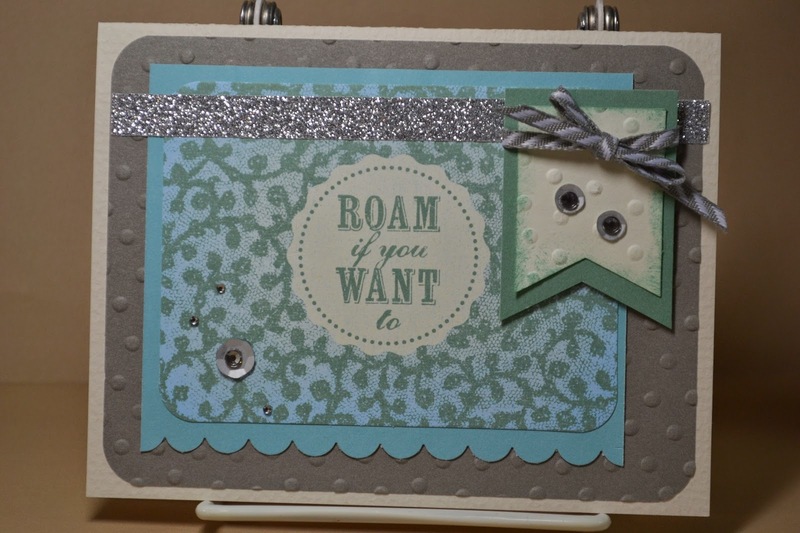 Now, hop on over to Donna's Blog﻿ and check out the Inspiration she has posted for you to enjoy! If you get lost along the way, HERE is the list of all the hoppers! 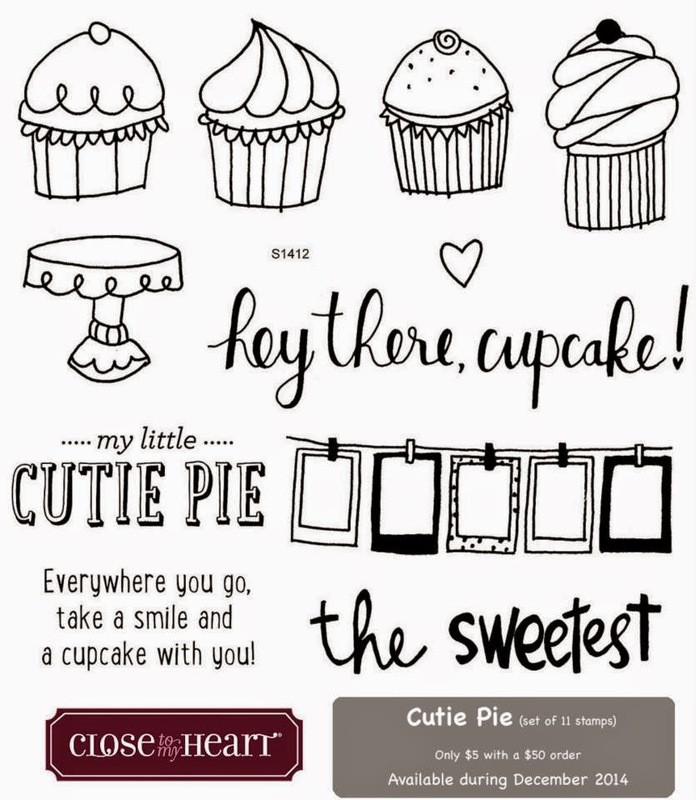 This weekend over at SplitcoastStampers (SCS) we're having a Virtual Scrapbooking Nights (VSBN) Crop. It's a few days of scrap challenges which are always great inspiration for getting pages done. 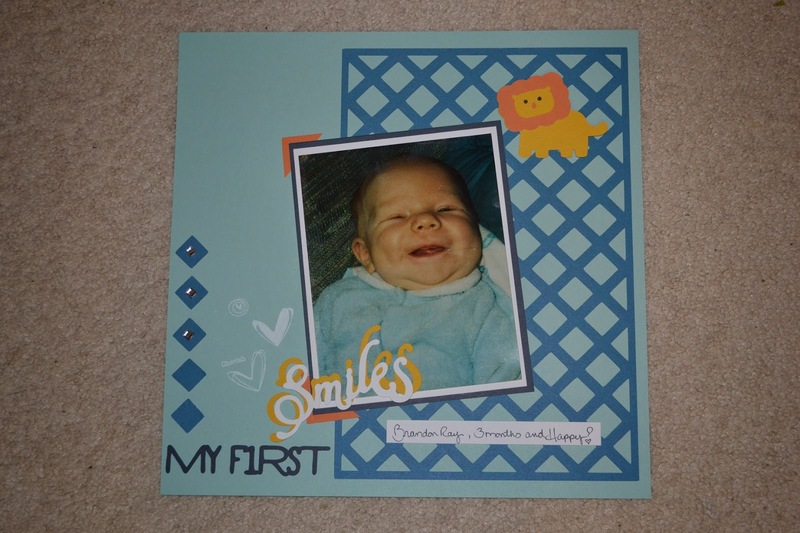 The first "preview" challenge was posted today and it was all about "Babies" since the theme this month is "Celebrating Friends and Family". This is my oldest son, Brandon when he was a couple months old. He was SUCH a good smiler! 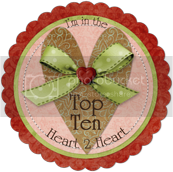 I also made this for the "No"vember Heart 2 Heart Scrapbooking Challenge which was to use no DSP, just cardstock. It went perfectly with this picture. 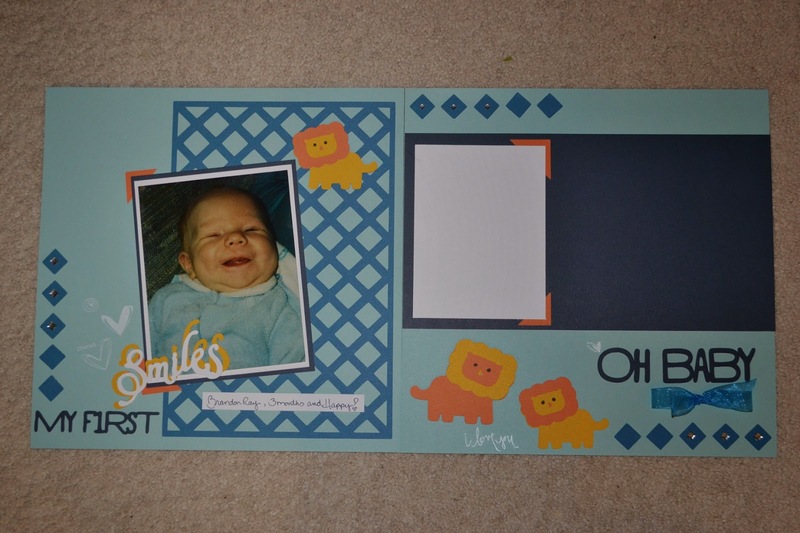 I decided to make a 2nd page while I had the supplies out and the cartridge set up so when I find the rest of the pictures that goes with this one, I can add them. After all, this picture is 23 years old, LOL! It's time it was in the Scrapbook! It's that time again, the start to the new work week. I should appreciate it, my day job supports my crafting habits and I do appreciate that, LOL! I'm especially looking forward to this weekend as it's the SCS VSBN (Virtual Scrapbooking Nights) Weekend Crop, theme Family and I have lots of pictures I'm looking forward to getting scrapped and into my Scrapbooks. 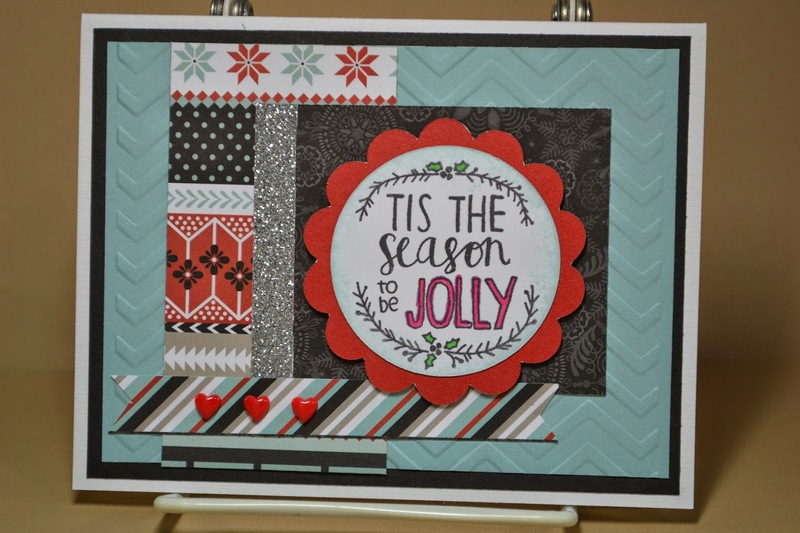 Until then, tonight I'm playing along with the MOJO Monday Challenge #370, and Heart-2-Heart "No-Vember" Challenge (No Stamping) tonight. I really appreciated this challenge as I have lots of the Picture My Life cards left over from the Balloon Ride packet and none of the papers left so this is a fun way to use the small size. This sketch was perfect for it.